MeshBox will create a new distributed routing/storage device standard. MeshBox combines network routing/storage/streaming to link all users without internet/telecom. Everyone can earn tokens as a local mesh network operator. MeshBox will represent the next generation of distributed HUAWEI and CISCO technologies. 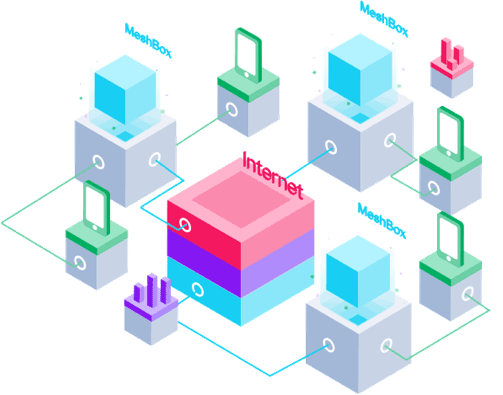 MeshBox is a central node providing efficient routing, storage and data streaming, to mesh networks where smart phones and IoT devices are the common nodes. Any time and any place it is possible to profit with a MeshBox. MeshBox has two indoor and two outdoor mining capabilities leveraging blockchain technology to reward users with digital assets. 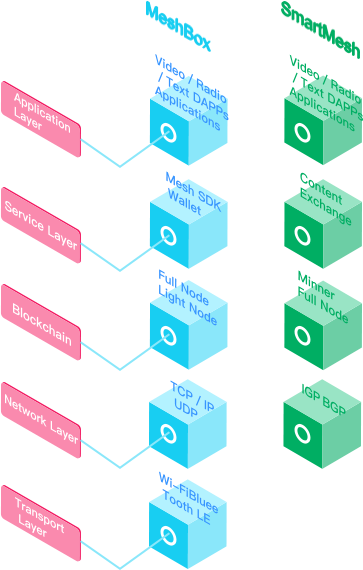 Leveraging the Raiden Network to set up underlink channels, secure payments that are both offchain and offline can be made via MeshBox. cashing in on Mesh network interoperability bandwidth with users contributing idle bandwidth to build Mesh networks, and getting rewards from forwarding data packets. Sharing content through boxes and gaining SMT rewards via other people downloading. 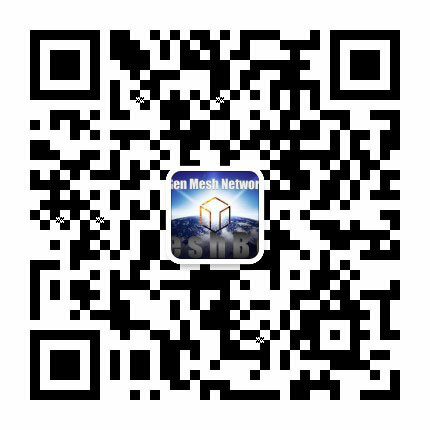 A physical MeshBox can be deployed in any community and serve as the central node of a local mesh network regardless of internet/telecom accessibility. It can accommodate all of the community residents’ life, entertainment and educational needs as well as act as a gateway to the greater internet. Imagine that we are going to establish a network on an island in the South Pacific, where there are no ground lines and the power supply is insufficient to sustain a normal network infrastructure. We take several MeshBoxes with a broadcasting capability of reaching a 2km radius into the island. They consume little electricity, and let the signal cover every corner of the island. Residents access the island network through mobile phones, participate in the sharing of digital resources via the MeshBox, and can communicate with each other and even make secure transactions. A mini mesh network is born on the island. The establishment of this network is so fast and efficient it is likely done in a single day.